Because of its stunning scenery and heart-shaped formation, it's no wonder so many people fall in love with Moorea! 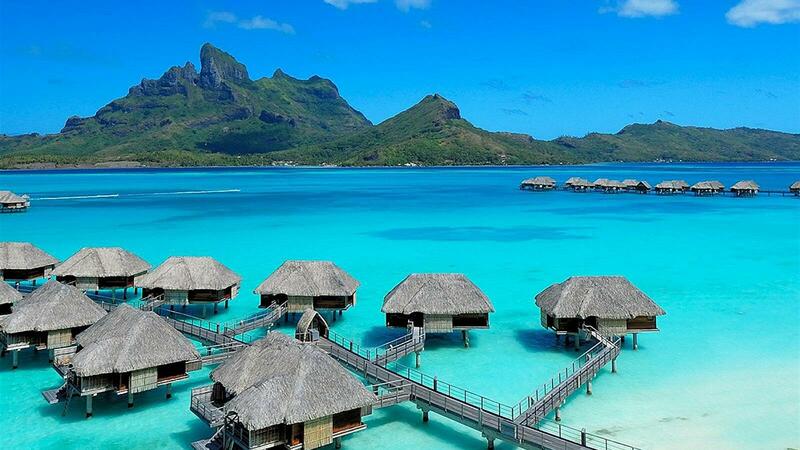 Bora Bora, where perfect white-sand beaches give way to emerald waters and colored fish animate the coral gardens as they greet the giant manta rays. Tiki Village Dinner & Show Moorea, Shark & Ray Feeding, Snorkel Safari on Moorea. Dinner at Bloody Mary’s Bora Bora, Shark & Ray feeding Bora Bora, 4WD Bora Bora. For a complete list of recommended Excursions on Moorea and Bora Bora, please refer to the Excursions page and include your preferences on the Quote Request Form.